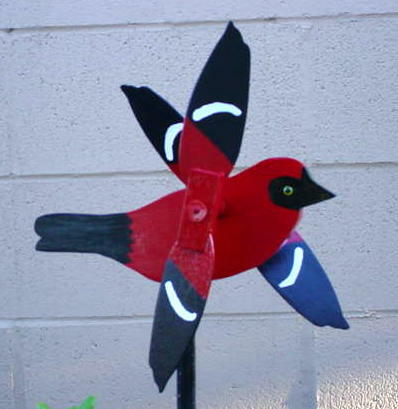 Where can I find hand crafted and whirligigs ? THIS IS THE WHITE WING TANAGER!! THE WHITE RING TANAGER HAS RUFFLED HER FEATHERS TIMES SINCE HITCOUNTER WAS STARTED SEPT 18TH, 2002.